On Friday afternoon Alize Johnson of the Indiana Pacers announced his basketball court project will be located on the campus of Firetree Place. A ribbon cutting is being planned in the near future. Stay tuned to Fox Sports Williamsport for details as they continue to develop. 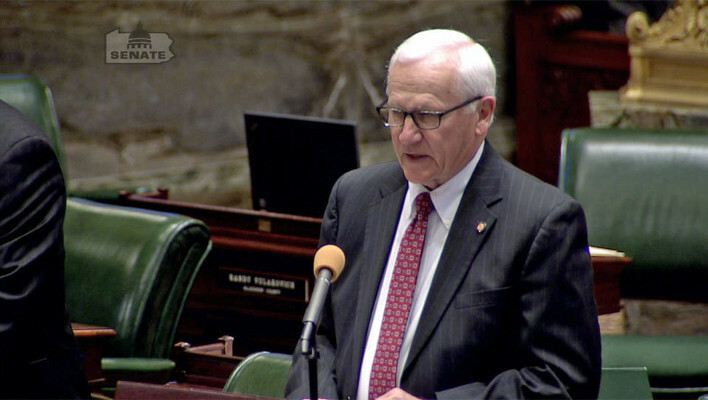 “I will be introducing legislation separating sports playoffs between traditional public schools (boundary schools) and private, parochial and charter schools (non-boundary schools). Under my legislation, boundary schools are defined as school districts which are governed by a board of school directors duly elected pursuant to the Public School Code of 1949 and the Pennsylvania Election Code. This change addresses the competitive imbalance and unfairness which results from the ability of non-boundary schools to enroll students from anywhere in the state as well as from out of state. Boundary schools, on the other hand, are limited to students within the municipal boundaries of the school district. In our continuing coverage of the recent controversy of a player transferring from Virginia to Pennsylvania and subsequently playing in PIAA post season games I reached out to the State Senator for Lycoming and surrounding counties, the Honorable Gene Yaw and received the following responses to my questions. Would you be kind enough to clarify for folks if the state government (Senate/House/Governor) has any oversight of the PIAA? The state Legislature has no direct authority over the PIAA. However, there IS an Athletic Oversight Committee created by the Legislature in 2005 as the result of recommendations made by the previous Oversight Council, which was disbanded in 2004. The Committee is composed of three House members and three Senators. The Committee is required to meet once a year for the purpose of reviewing the PA Interscholastic Athletic Association compliance with Act 91 of 2000, responding to issues related to the activities of the Association and to issue an annual report of its findings to the presiding officers in both the Senate and House. Secondly, with the most recent transfer of a student from out of state to a private school in Philadelphia, who is now playing on a post-season roster having competed in another state; is there anything the state government will be doing to address this? With regards to the transfer student, I’m not sure if this issue is being discussed before the Committee, though a legislative approach may be warranted (I’d be surprised if it hasn’t already been discussed in the past. ), but I’m told the Committee is working on a non-legislative solution to boundary v. non-boundary schools and championships. Finally, are you hearing from public schools about leaving the PIAA to form their own governing body if these types of situations continue to occur and go unchecked? Senator Yaw has not heard from public schools about leaving the PIAA. Thank you again for your answers to these questions of public concern throughout the Commonwealth. Lycoming County and the Susquehanna River Valley. Williamsport, as well as ticket giveaways across the stations in the coming year. 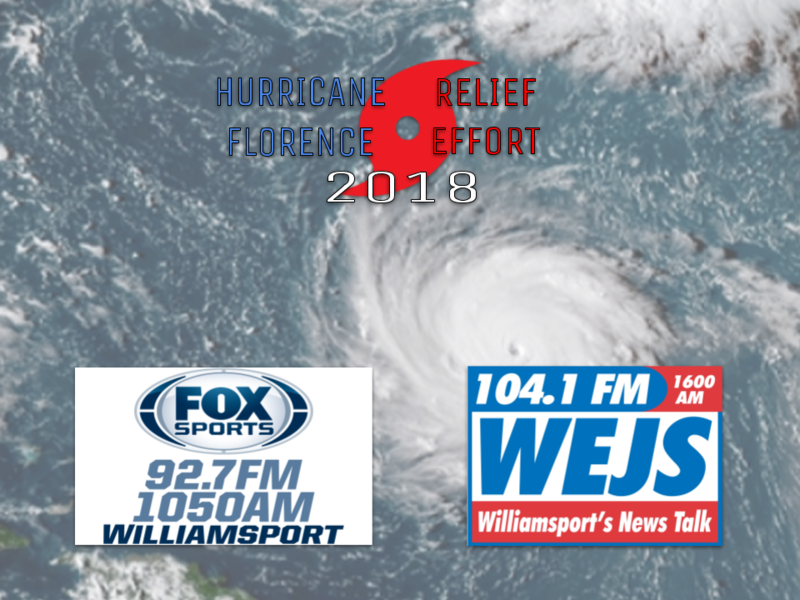 With the devastating impact of Hurricane Florence on families in North Carolina, Fox Sports Williamsport 92.7 FM/1050 AM and News Talk 104.1 & 1600 WEJS have launched a relief effort. The relief effort is made possible by the generosity of Wagner Trucking in Mill Hall, Pennsylvania providing a tractor trailer and driver. Beginning this Thursday, September 20th at 10 a.m. the trailer will be parked in the Beiter’s Furniture, Mattress and Appliance parking lot and stay that day until it is filled. Donations of items can be made by dropping them off anytime during the day and suggestions of items of greatest need are listed below. “As we did two years ago in the wake of Hurricane Matthew the people of Lycoming and surrounding counties adopted Lenoir County, North Carolina and delivered more that 40,000 pounds of relief supplies,” according to Todd Bartley, Managing Member of Fox Sports Williamsport 92.7 FM/1050 AM and News Talk 104.1 & 1600 WEJS. Fox Sports Williamsport 92.7 FM/1050 AM and News Talk 104.1 & 1600 WEJS will be broadcasting live from the Beiter’s parking lot all day in support of the relief effort. If people want to volunteer to go to North Carolina this weekend to assist in flood clean up there will also be a sign-up sheet and details provided on how to assist. Businesses, if you have a pallet ready to put on the truck we have the equipment on site Thursday to move it from your truck to the relief truck. Please have it shrink wrapped for transportation purposes. Thank you in advance for your assistance in the worthwhile effort and the great partnerships that have been forged through tough times. – Todd Bartley, Managing Member of Fox Sports Williamsport 92.7 FM/1050 AM and News Talk 104.1 & 1600 WEJS on behalf of the families of Lenoir County North Carolina. Another incident of improper behavior has come to light from the Williamsport Millionaires baseball team trip to Myrtle Beach, South Carolina earlier this year. Multiple sources have confirmed to Fox Sports Williamsport that a member of the Williamsport Millionaires baseball team sought out individuals in Myrtle Beach for the purpose of obtaining an illegal substance. That transaction then led to the substance being brought back to a team hotel room also being occupied by other members of the Williamsport Millionaires baseball team. Upon those student athletes returning to their room, they discovered the illegal substance in plain sight and then immediately contacted their parents who then came to the room. Upon the parents observing the illegal substance it was immediately destroyed. At that point the school leadership on the trip was made aware of what had transpired. The student athlete who originally possessed the illegal substance was confronted with the allegations and offered a full confession of what had transpired. At that point he was removed from the Williamsport Millionaires baseball team. At least one parent of the student athlete was also present when the confession and punishment were handed down in Myrtle Beach. The Williamsport Area School District solicitor was contacted for this story, and offered the following in response to the statement and question below. 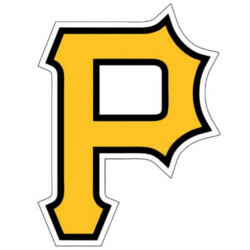 It has come to my attention that another student athlete was removed from the baseball team while on the Myrtle Beach trip for acquiring and possessing an illegal substance. Can you confirm the validity of this? So the WASD is not denying the validity of the report? As of this writing Myrtle Beach law enforcement authorities have no record of this incident they can provide Fox Sports Williamsport. Based on the first story related to this trip and now this story, the oversight of children was severely lacking on the trip in Myrtle Beach. A full investigation into these matters by an agency outside of Lycoming County must be engaged immediately by the WASD School Board. Keep in mind this is the same school board according to the local newspaper that had to remove a non-district resident from their school board this week. These situations also beg the question; why are school administrators conducting investigations and handing out school punishments in what many law enforcement officials would consider rather straight forward criminal acts? Isn’t the rule if drugs are found in a student’s locker it would be reported to the police? Why was this handled differently? Is there a double standard for athletes and sports teams in the WASD? Ironically enough, a random drug test form was sent home with WAHS students this week and if the form is not signed off on by both student and parent; the student cannot participate in the activity. Additionally, Fox Sports Williamsport has also confirmed there are strong indications that conflicts of interest may exist in the investigations; which is another reason it must be referred to an outside agency immediately. Ponder this, why would any administrator involved in these matters ever fear an outside investigation if it was handled properly? Instead, would it stand to reason those administrators would welcome it to show things were indeed handled properly and the steps that were taken? If these serious issues are not addressed and an external investigation is not initiated immediately by the WASD School Board President, it may be time for that person to resign as well and new leadership be installed. Only time will tell, the hour is getting late and the taxpayers in the WASD want answers; they certainly pay enough for them. Fox Sports Williamsport, News Talk 104.1 & 1600 and YSN jointly announce partnership agreement for online video broadcasts. 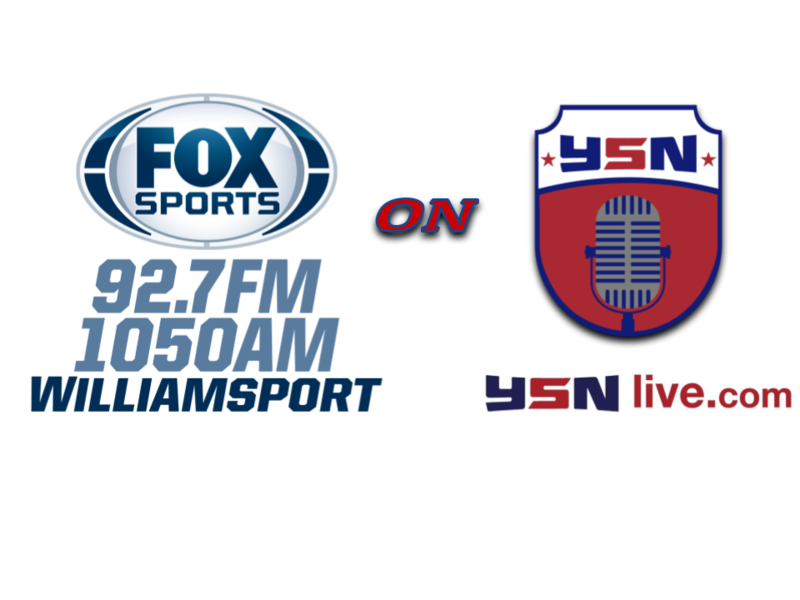 “We’re (YSN) beyond excited to work with the team at Fox Sports Williamsport and News Talk 104.1 & 1600 producing live High School sporting events in Pennsylvania. Growing into Pennsylvania continues our commitment of giving local athletes a platform to showcase their talents. This partnership will amplify our efforts, and will provide an even better experience for our fans, and sponsors.” D.J. Yokley, Founder & CEO of YSN. “D.J. and I go back many years to our days in Class B Baseball. In reconnecting over the years we have finally reached our goal of the best way to deliver our award winning play-by-play broadcasts of high school events to our audience. It made perfect sense to partner with YSN and the great team D.J. has put together at YSN and their model of success.”, Todd Bartley, Owner of Fox Sports Williamsport, News Talk 104.1 & 1600. “YSN is unique in that they are not reliant on a social media platform for the broadcasts; instead YSN broadcasts can be shared on social media and are available in live format as well as on-demand after the game concludes”, Bartley added. Branding will include both organizations on every broadcast. Announcing crews will be announced in the near future. Fox Sports Williamsport (92.7 FM, 1050 AM, foxsportswilliamsport.com and News Talk 104.1, 1600 AM talkwilliamsport.com have broadcast thousands of Lycoming County High School sporting events since 2007. Daily on-air content includes the only local sports talk program The Locker Room Show airing Monday – Friday 4 – 5 p.m. as well as the Lycoming County High School Coaches Show airing Wednesday nights from 7 – 8 p.m. at Buffalo Wild Wings and High School GameDay from the Fairfield Auto Group Game of Week site each Friday from 5 – 6:45 p.m.
Fox Sports Radio is the country’s largest sports radio network, providing more than 9,000 hours of talk and event content annually to 750 stations nationwide, including the top 100 markets. Your Sports Network (YSN) was a vision of two friends who thought there was a link missing from the chain of local sports, and the delivery to those who enjoy them. With the evolution of technology, there should be little reason that you should never be able to stay current with live games, matches, and events at the local level. Highlights are great when the game is already over. By then, you already know the score, and why waste your time? We believe every event should be streamed, and the community that surrounds that team, or event should benefit with low cost marketing and advertising to reach loyal fans, family, and friends in that specific market. LOYAL: We encourage ‘Homers’ in our broadcasts. It’s passion that drives us. LOCAL: Understanding that each event will have a different feel, we support local businesses of all sizes with our media. LIVE: Nobody likes re-runs. Living through each play as it happens, sitting on the edge of your seat. 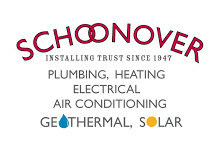 We’re online, and in your community. We are YSN. On Thursday evening the Indiana Pacers selected Alize Johnson (Missouri State/Saint John Neumann) in the second round with the 50th overall pick. Here is more from Chris Masse co-host of the Locker Room Show on Fox Sports 92.7 FM/1050 AM and his article in the Sun Gazette. As I wrote earlier this week in this forum that “the PIAA has an illness” so many people have weighed in with me and some interesting information has come to light since the article was published. The PIAA compliance office was contacted for this story and did not return a call. Let us begin with the fundamentals. The references that follow are from the PIAA Handbook readily available at PIAA.ORG. The crux of this case hinges on something that apparently has been overlooked by numerous administrators. This particular PIAA By-Laws reference is why the mid-year transfer rule becomes a moot point (if it is applied). Section 5. 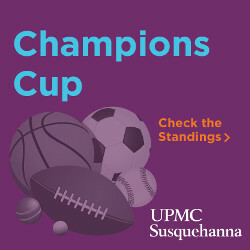 Eligibility of Students for Championship Contests. was otherwise in uniform and available to participate in at least 50% of the total number of the Team’s Regular Season Contests. With regard to Practices for the period of time beginning with the Team’s first Contest and ending with its last Contest of the Regular Season, the Principal of each school must determine whether Practice in the athletic program other than that of the student’s school meets the Practice requirements of that school. If it does not, the student is ineligible to participate in the District or Inter-District Championship Contests in that sport. Based upon this rule, even a reasonable person can come to the conclusion that the student-athlete in question must be ruled ineligible to compete. If you are new to this story a quick review is as follows, Neumann-Goretti had a recent transfer student from Hampton, Virginia play in the PIAA second round girls basketball game against Loyalsock after making her debut in the first round against Pine Grove. The circumstances surrounding her transfer relate to a family matter that no one is willing to discuss. Let me be the first to ask the question, why is the student athlete in question reportedly going back to Virginia this summer to play on an Elite AAU team? The PIAA Bylaws also address prior summer behavior and participation which also bolsters the ineligibility argument. Let me also be the first to ask, why on the PIAA transfer form does it first reference that academics must be the motivating factor and not athletics and ability to play? Does it matter that the student athlete in question averaged 30 points per game last year as a freshman and nearly 25 points per game this year in Virginia and is averaging double figures through three PIAA playoff games? Remember, the student athlete in question transferred to better the educational opportunities as a Philadelphia native not to a public school but to a private school. The acceptance letter to said private school was reportedly received within the past few weeks. On that note, I received a letter from a Neumann-Goretti girls basketball parent after the first article and the letter eloquently hammered home one of the many points in my argument about a broken PIAA system. From the written words of a parent from a private school to every single public school parent in not only Pennsylvania, but Virginia, New Jersey, Delaware, New York and the rest of the world this parent basically says no one can stop us and we don’t care what you think. This is the chilling impact referenced in the first article. Way to win with class private school parent. In 2015, the PIAA waived a third reading to get to six classes from four. As you will read below, what the leadership reportedly did in 2017 with the single biggest competitive balance issue facing this state; they are waiting a full year for it to be codified and that decision has now come back to haunt them. Instead of codifying a significant piece of competitive balance legislation, they deferred. Did I mention the hardship loophole that will undoubtedly follow this worthless attempt at doing something? In speaking with any number of public school administrators throughout Pennsylvania over the past eleven years and in recent days, this single situation will be cited as the mechanism for ALL of the public schools to leave the PIAA and form a new association. How did the student athlete in question get cleared to play? In the case that you are referring to, both Principals (Hampton Phoebus and Neumann-Goretti) signed off on Section 4A on her transfer waiver form. The District XII Committee intervened and requested a hearing to investigate the matter and to determine the student’s eligibility. The student enrolled at Neumann Goretti on or about 2/12/18 and the District XII hearing was scheduled for 3/5/18. Henceforth, she was not eligible to participate in both the Phila. Catholic League Playoffs and the District XII Tournament. In the hearing we listened to the reasons for leaving the school in Virginia and re-enrolling in a school in Philadelphia. We found out that the student was a native Philadelphian and left for Virginia when she was eleven years old. She returned to Philadelphia due to a private family matter which I cannot divulge to you. After listening to all of the witnesses involved and the collaborating evidence the District XII Committee went into deliberations. We discussed in much detail the pros and cons of the case and as always consulted the P.I.A.A constitution in detail as to where we would stand legally with our final decision. Our decision was that we could not legally refuse her eligibility under the current constitution and therefore declared her eligible as of 3/5/18. We knew that this would cause an uproar in our District and beyond but we felt that this was the correct legal decision. Did the Disctric XII Committee completely miss the section referenced above in the existing PIAA Handbook and deferred to a proposed piece of legislation? The student athlete in question played in a game in Virginia in early February and less than 30 days later is on a post season roster playing for a team in another state. Which according to the PIAA By-Laws by their own definition makes the student athlete in question ineligible to compete. The membership of the PIAA has a legitimate concern in this case as it relates to competitive balance because to this fan of high school sports it looks like the rules only apply to public schools and nobody else. There are two rounds left in the Basketball Championships and for all the world it looks like the AAA Girls Title will have an (*) next to it for years to come. PIAA leadership you still have time to correct this egregious error, however with your past behavior everyone already expects you will sit by silently and will do absolutely nothing. The bad news for the PIAA is they get to watch their membership exit to the new organization fondly referred to as the PAHSAA, Pennsylvania High School Athletic Association. In the new PAHSAA, the member schools will be voting on legislative matters and not a Board of Control which obviously lacks the judgement and discernment to protect the best interests of the student athletes of Pennsylvania. The good news for the PIAA is they get to keep the logo for the newly named Pennsylvania Independent Athletic Association. PIAA the ball is in your court, again, try not to commit another foul.